Georgie Burruss secures a receiver to a cinderblock after downloading the data from the device. Last week, the Flats Ecology and Conservation team downloaded data from a large-scale passive acoustic telemetry array designed to track bonefish to their pre-spawning aggregations. 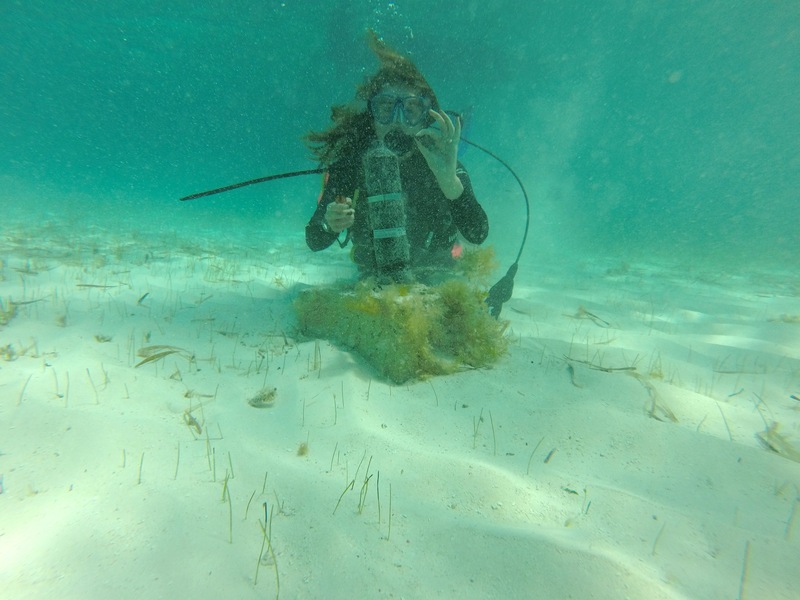 A total of 61 receivers were placed around Eleuthera to track the movements of 39 bonefish and 14 barracuda that were implanted with acoustic transmitters. The research team downloaded key receivers and found schools of bonefish moving over coral reef habitats at night near tidal creeks on the East coast of Eleuthera, indicating that these fish may move offshore to spawn on the windward side of the island. Stay tuned for more updates in June. Helen Conlon signals okay after redeploying a receiver. 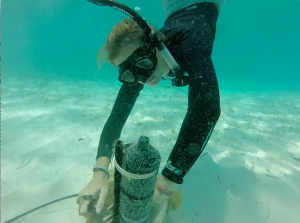 As a bonus, while collecting receivers the team got to swim by several Elkhorn coral (Acropora palmata) colonies, an IUCN-listed critically endangered species. 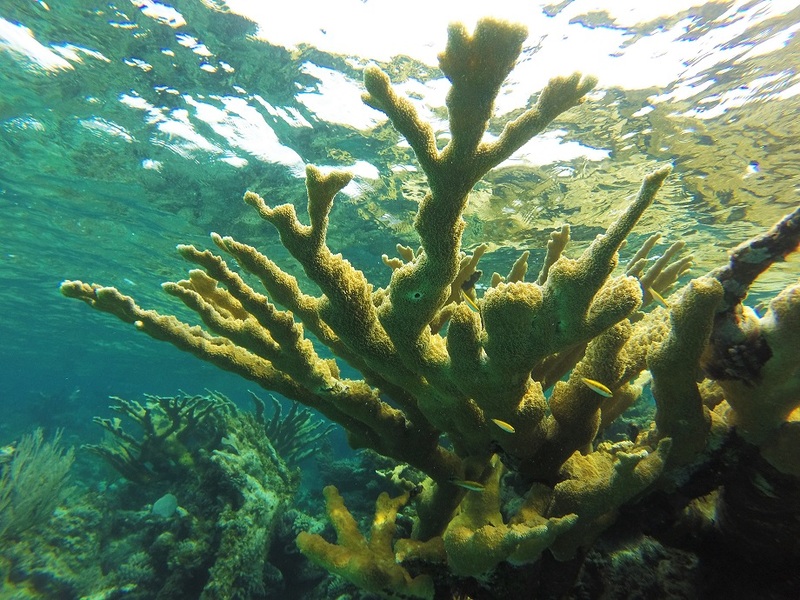 Elkhorn coral grows rapidly, providing significant structure and habitat for reefs throughout the Caribbean, though it is in severe decline as a result of coral bleaching, predation, storm damage, disease, and human activity. Though it was heartening to see so many healthy colonies of this critically endangered species, they are small compared to the large stands of dead elkhorn that used to thrive in the area. Our reef restoration project has begun mapping these areas and will be monitoring its growth.